In order to reduce normal contamination coming from industrial use, these electrodes combine a polymer reference and double-junction technology. 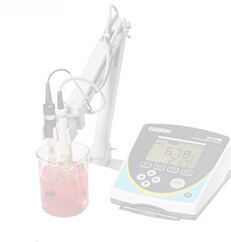 With this technology, no refilling is required and the electrode can be used in samples such as organic compounds, proteins and heavy metals. In addition, the pH electrodes use a unique annular PTFE junction that minimizes clogging. 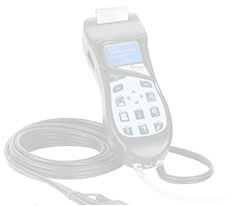 These industrial probes have a glass body electrode for use in aggressive chemicals and are easy to clean. A PEI protective sleeve gives the electrodes resistance against mechanical stress. Operating limits are -5 to 80°C (23 to 176°F) and pressure up to 6?bar (87 psi). AmpHel® pH General Purpose Electrode with BNC connection and 5 m cable. The HI 8051 fertigation controller provides up to 10 irrigation programs to irrigate up to 24 sectors using time or volume control. Each irrigation program has one pH and one EC setpoint. The start condition of the program, the irrigation sectors and the time or volume for each sector are user defined. The irrigation water is pH corrected based on the pH control with acid or alkaline solution and can contain nutrients for crops based on up to 4 fertilizer receipts. Fertilizer dosing is permormed based on the EC, volumetric or ratiometric control. Another important feature is the correction of irrigated water volume or time based on accumulated solar radiation or manually requested by user. Agitator control and filter cleaning control is performed automatically. The instrument reads up to 3 EC probes, one to verify the water incoming EC, and the other two redundant in-line for safety, to measure the current irrigation water EC. The two pH inputs are mounted in-line redundant for safety to read the irrigation water pH. This instrument provides an alarm system and logging organized on three user selectable levels. An important added feature is this models ability to mix 3 sources of incoming water. Fresh water, reused water and all dosing are performed based on the motorized valves that are activated by motors that allow different flows of the fertilizers, acid and alkaline solutions used for pH correction. Irrigation control differs based on the type of control: by irrigation water volume or by irrigation time; the number of sectors that have to be irrigated, the available sources of water for irrigation one or more with or without reusing the irrigation drain water. Irrigation control is started by opening the irrigation valves and starting the main irrigation pump. The control of all these elements is performed by the controller based on concepts of irrigation programs. Up to 10 irrigation programs can be set by the user with different irrigation parameters: irrigation periods, type of irrigation control, irrigated sectors and volume or irrigation time specified for each sector, conditions to start irrigation such as time, accumulated solar radiation, low level in tanks (hydroponic crops), temperature variations, linked to another program, priority of program, number of repetitions. For irrigation water, each program has a defined pH set point, EC set point (if the quantity of fertilizer is dosed according with conductivity), and receipt of fertilizers. Control of agitators is specified by programs according with the irrigation periods. The quality of irrigation water is assured by proper control of pH and the quantity of nutrients (fertilizers) present in irrigation water. Fertilizer can be dosed during irrigation using the Venturi tubes principal or with motorized valves. The control of the quantity of dosed fertilizer can be performed using the volume counters. The system supports dosing from up to 4 fertilizer tanks with specific receipts. The concentration of the fertilizer in irrigation water can be controlled based on the conductivity reading, proportional with irrigation water based on the receipt or ratiometric, in which case the certain quantity of fertilizers are added with the amount of programmed water. The pH control is performed in order to adjust the pH of water to the irrigation program set point. The pH correction can be performed with alkaline or acid solution based on the characteristic of the incoming water. The control of pH and EC is performed with PID, PI or proportional control. The tuning of the PID control can be accomplished by the user manually, or automatically by the PID auto-tuning feature. The automatic control of agitators used in fertilizers tanks and filter cleaning system complete the needs of a standard fertigation system. In order to keep the fertilizer concentration constant before and during the irrigation program, the fertilizers are mixed in their tanks based on the agitators program. The system can manage up to two filters mounted to protect the probes and in-line dosing elements. With differential presostates, the filters are monitored and when necessary, the irrigation programs are automatically suspended and washer filter cleaning is started. This process removes any deposits and sediments that may appear on filters to increase the systems life. 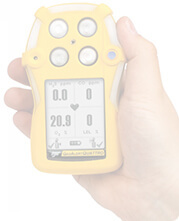 For safety reasons, the systems can be equipped with 2 conductivity probes and two pH electrodes in redundancy so that the system can generate an alarm in the case of reading differences between them. 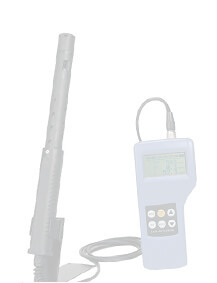 A third conductivity probe can be mounted to verify and compensate the incoming water conductivity. The logging of the controller can be selected on three levels: input reading variations, statistics of reading (average of pH and EC) or events (start of programs, opening valves, ). The alarms of these systems are related to measured water quality parameters like conductivity and pH: out of range, differential reading between redundant probes; over dosing of conductivity or acid or alkaline correction solution, tanks at low level or no dosing detected by counter movement. Similar alarms can be generated after the units self-diagnostic tests are run. All the sensors: EC, pH, temperature are connected to the controller via transmitters. pH and EC are temperature compensated on the transmitter level. The output of analog transmitters can be calibrated at two points for pH and conductivity. Also, the controller offers a calibration in two points for pH and one point for conductivity. 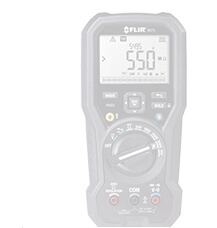 The user interface is based on an 4 x 20 character line LCD, organized for settings and consultancy. The UI has multi-language support. The RS232 connection permits the connection to a PC (dedicated PC software HI 800104). The systems internal back-up power system offers a special feature; in the case of losing external power, the controller will stop the irrigations and memorize the irrigation programs that were not performed. The controller will start from the uncompleted programs after power has been restored. The programs will be executed based on their priority level with full respect of the quantity of irrigation water, pH level, and concentration of fertilizers. Additional features that can be found are control of the external power supply and control of mixing of different water sources (clean water, drain irrigation water). 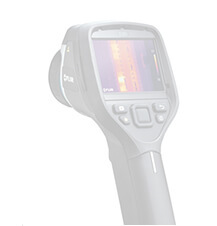 Each HI 8000 Series model is supplied instructions. HI 8051-0300U Acid based fertigation controller with dual pH control, differential EC control, actuator control, multiple dosing and irrigation pump control, panel mount, 24 sectors, English, 115V. HI 8051-0300D Acid based fertigation controller with dual pH control, differential EC control, actuator control, multiple dosing and irrigation pump control, panel mount, 24 sectors, English, 230V.